My “latest work” is actually Betsy Wickwire’s Dirty Secret, not Becky’s but whatever. Close enough. 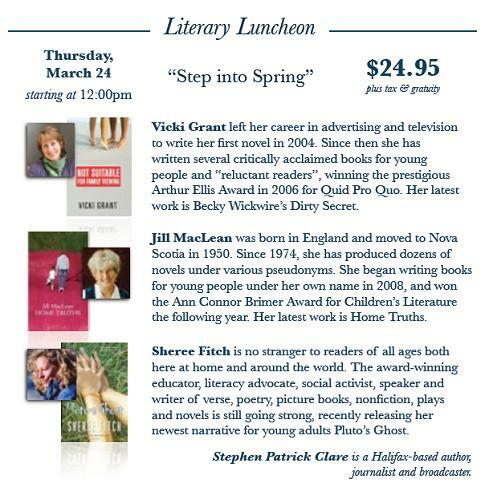 I’ll be happy to tell you all about it at the Halifax Club’s Literary Luncheon. Hope to see you there.